“Gonna have to get used to that,” my sister whispered to me. Sitting on a bench on the outskirts of the University of Toronto campus, over 4 000 kilometres from home, we were watching a group of students and 20-somethings smoking e-cigarettes across the street. Plumes of smoke hovered above them, dancing their way through the thick, late-summer air of downtown Toronto. While their smoke filled the air with the familiar sickly-sweet smell of flavoured tobacco, I could also smell a different, more skunky scent. Cannabis. “Oh, that’s what you meant,” I replied. I wondered, were we getting a glimpse into the future, post-Oct.17, the Canadian government’s official date for the legalization of cannabis? Are we destined to see a gold (or rather, green) rush in towns and cities across the country? Will that distinct smell of marijuana be constantly floating around public parks, trails, and roads? Will everyday feel like 4/20? With all those questions going through my mind, I felt a tap on my shoulder. “Do you mind if I interview you? It’s part of a class project,” a stranger asked me. Are we destined to see a gold (or rather, green) rush in towns and cities across the country? Normally, being introverted and shy, I would have pretended to be on my phone in the hopes that she would go away. I have a stutter that rears its ugly head in spur-of-the-moment social encounters, but for some reason I decided to grant her request. Maybe I was interested to see why she picked us, among the hundreds of other students floating around campus, or maybe I was genuinely interested in what her class project was about. Nonetheless, her first and only question brought my stutter to the spotlight. “I-I-I, hmm. Good question. Very good question,” I replied. Usually, I’m the one asking the questions, and now, here I was in an unfamiliar city, stumped. Until that point, I hadn’t really thought much about cannabis and whether I approve of its legalization. Colorado and Washington’s legalization of marijuana back in 2012 didn’t interest me much, nor did the Justin Trudeau Liberals’ campaign promise to legalize it in 2015. And when they finally announced that July 1, and later Oct. 17, would be the official date that cannabis would be made legally available to the public I briefly scanned the headline in my newsfeed before scrolling to the next story. I don’t smoke, eat, or consume the stuff, so it won’t affect me, right? “B.C. Child in hospital after eating cannabis-infused gummy bears,” a CBC headline read. Twelve days before legalization, a Comox child was airlifted to a hospital after they consumed an unknown number of cannabis gummies they found in the backseat of their parents’ car. “This is a very unfortunate situation that brings to light the dangers of cannabis infused edibles—especially those that resemble candy,” said Constable Monika Terrangi with Comox RCMP, to the CBC. Last year, an elementary school child in Oshawa brought pot-laced snacks to school after a lunch mix-up. Investigators said their parent, who owns a medical marijuana licence, baked a batch of marijuana cookies and accidentally misplaced a sizeable amount in their child’s backpack. When the kid started to share cookies with friends at school, four young students were reported to have been ‘dizzy and euphoric’. A week before that incident, in a separate event at the same school, a group of students were found to have consumed cannabis-infused gummy bears after showing signs of dizziness. Adolescents who consumed cannabis at a young age were at higher risk for physical, mental, and behavioural health problems. Although commercial edibles will remain banned until July 2019, my thoughts immediately turned to my little cousin in elementary school. I pictured her accidentally stumbling upon a handful of cannabis gummies, and unknown to her, scarfing the treats down thinking they were candy. She had open heart surgery at birth, and I started to worry that consuming cannabis might affect her heart and even put her life in jeopardy. Indeed, some health researchers are concerned about legalization because they believe that easier access to cannabis could lead some youth to high-risk behaviour. In a 10-year study released this summer, UVic researcher and psychologist Bonnie Leadbeater found that cannabis has staggering effects on youth. Leadbeater and three other researchers examined data from a Victoria Health Youth Survey held from 2003-2013, and found that adolescents who consumed cannabis at a young age were at higher risk for physical, mental, and behavioural health problems. Leadbeater’s study also highlighted that these individuals usually had lower education levels. In a separate interview with Chek News, Leadbeater said now is the time for the government to take steps to protect youth from the dangers of cannabis. Victoria is regarded as one of Canada’s more progressive cities when it comes to cannabis. An overwhelming 63 per cent of British Columbians support legalization according to an Insights West poll, while 23 per cent of respondents admitted to smoking marijuana “at least a few times a year”. And from the annual pot-smoking rally on April 20 (the date 4/20 refers to cannabis consumption) to local government recommendations to create lounges downtown for cannabis consumption, Victoria has been called a trendsetter for the green stuff. “Victoria and Vancouver are generally considered the mecca for cannabis in Canada,” said Brandon Wright, founder of Victoria’s Baked Edibles — the longest-running medical cannabis bakery in the country — to YAM magazine. In 2017 the City of Victoria recommended to the province that cannabis lounges for public consumption should be considered. As of April, B.C.’s plan for legalization will allow cannabis to be sold in different ways. Whereas other provincial governments across the country—such as Saskatchewan, who has banned cannabis consumption in public places and will handle sales exclusively in the private sector—B.C. has opted for cannabis to be sold in both government-run stores and privately licensed stores. However, retail stores will need to apply for a recreational marijuana license, and secure support from their municipal government before they can open for business. Victoria has been called a trendsetter for the green stuff. The requirements are so stringent that only one government-run store will be open in the province on Oct. 17. “This is the largest public policy shift in decades and it’s not something that just happens overnight,” B.C.’s Public Safety Minister Mike Farnsworth said to the Globe and Mail about the single Kamloops location given government approval before the legalization deadline. 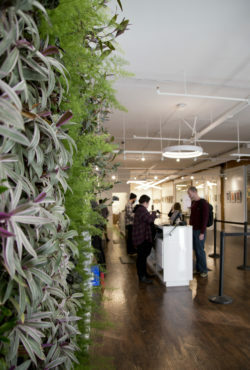 Cannabis consumers in B.C. must be 19 years of age, and are permitted to smoke in public places where tobacco smoking and vaping are allowed. But smoking pot in B.C. is banned in parks or beaches—areas where children would go. As for other regulations finalized by the provincial government: Adults will be able to grow up to four plants per household (unless their landlord prohibits cultivation), possession of non-medical marijuana will be limited to 30 grams per person, and a 90-day driving ban will be charged to drug-impaired motorists caught under the influence behind the wheel. Despite all the progressive measures, only 50 per cent of the province believe the provincial and federal governments are prepared for legalization. The majority of those surveyed raised concerns about trouble avoiding second hand smoke in public (64 per cent) and a higher rate of impaired drivers on the road (72 per cent). At a site nestled amongst the breweries and mechanics stores of Victoria’s industrial area, Alex Robb makes himself an espresso. He’s been a popular man lately. Even before our interview at the dispensary he manages, It’s easy to see how cannabis legalization in Canada is affecting his business. Being General Manager of Trees Dispensary, he has responded to media requests from CBC, Chek News, and now the Martlet over the past few weeks. 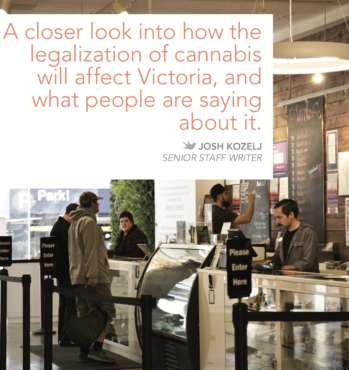 “We’ve seen the cannabis industry really take off … [Victoria’s] really become much more of a younger city over the course of the last decade. More and more young people have moved here, and as a result, [they] are able to concentrate their power in Victoria and shape the culture here,” says Robb. Smaller producers in B.C. — or micro-cultivators — may face difficulties becoming fully legal growers, due to the financial constraints of regulation. 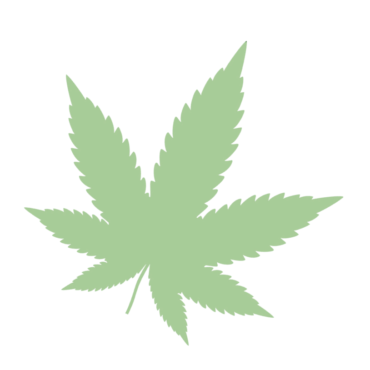 Trees focuses on the two main cannabinoids: tetrahydrocannabinol (THC) and cannabidiol (CBD). “THC is an inebriating substance. It can be used to help with sleep, stress, and pain, but can also be stimulating and inspiring. CBD acts as a powerful anti-inflammatory, antispasmodic, and is non-psychoactive,” reads Trees’ website. Trees also prides itself on local sourcing. “That’s part of the significance of our name — Trees Island Grown — is because we do source exclusively from this region, and from the small producers in this region,” says Robb. With new policies in place as of Oct. 17, though, smaller producers in B.C. — or what have been officially categorized as micro-cultivators — may face difficulties becoming fully legal growers, due to the financial constraints of regulation. Robb believes these smaller producers may have to wait between six months to two years to integrate into the legal system. Robb never envisioned himself ending up primarily in the cannabis industry, having to fend off multiple interview requests from hungry journalists about the marijuana landscape. 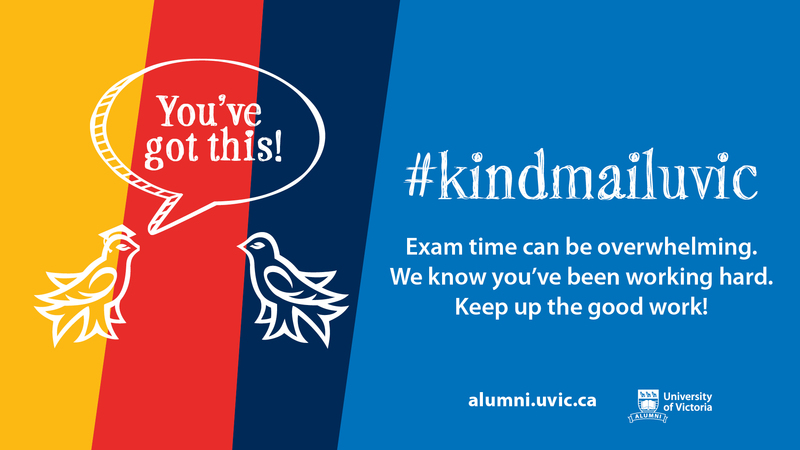 While working on his PhD in political science at UVic, Robb started working for Trees because he wanted a job that he could leave at the end of the day, go home, and fully focus on his dissertation. As licensed cannabis stores started to proliferate on the streets of Victoria, Robb began taking on more of a leadership role at Trees, which elevated him to GM status. On the topic of public fears about a permanent marijuana-infused smoke cloud floating over Victoria in the days following Oct. 17, Robb maintains that not much will change in terms of second-hand smoke affecting the wider population. “One of the things that has been put on the backburner of cannabis legalization and regulation is the business of consumption spaces … there are so many restrictions being placed on where somebody can smoke,” says Robb. 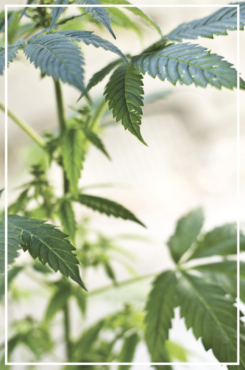 Currently, the City of Victoria has put together a motion that would introduce a pilot project to look at implementing public cannabis consumption spaces, and Robb sees this as a critical measure the city is taking to lessen the public fears of health concerns. Ultimately, it seems life will mostly stay the same as of Oct. 17, although what happens to the smaller cannabis producers and distributors remains up in the (hazy) air. Will legalization affect me at a personal level? Probably not. But looking at the broader picture, it’s a substantial change in Canadian public policy, and symbolizes an even greater shift in our cultural norms as a country. Living in Victoria, a city that has been at the forefront of progressive Cannabis culture, has, as Wright said, kept us in a bubble. While the culture in Victoria is unlikely to change dramatically, it will be fascinating to see how the rest of Canada handles legalization in the coming months.